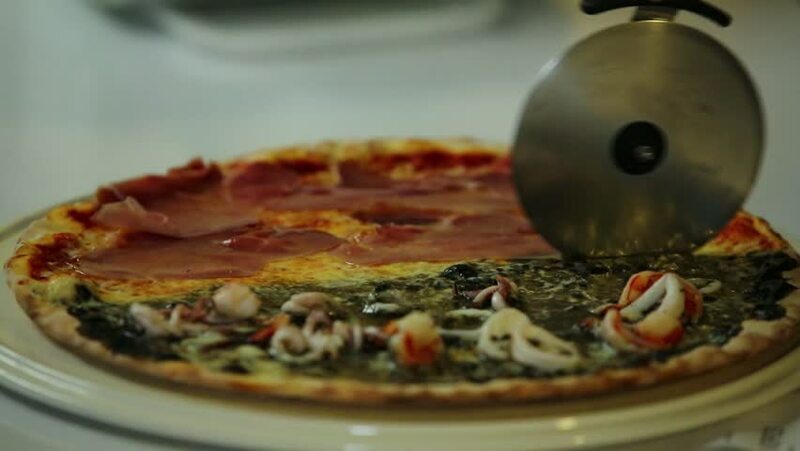 Close up of fresh made pizza cutting with roller. 4k00:14Scrambled eggs with garlic sausages. hd00:20Ravioli with tomato sauce in a white plate. Grated parmesan cheese falling from the top and melting on the pasta.